We help you LOVE the way you look! At La Beauté Medical Aesthetics, we have four membership price points. Each of these memberships will help you save money on non-invasive cosmetic procedures at La Beauté Medical Aesthetics. The bioidentical hormone replacement therapy membership allows you to visit our office eight times and only spend $1,499 in a year. This membership is a one-time price for a year that offers unbeatable results. We also offer three other memberships with the funds going toward the services with an additional percentage discount. These three memberships will go toward all of the services and help you save depending on your membership level. Essentially, with our memberships, you’ll be saving on any of our procedures because you get a discount and have already pre-paid for the treatments. What Does A Non-Invasive Cosmetic Procedure Mean? A non-invasive cosmetic procedure means that they are non-surgical. 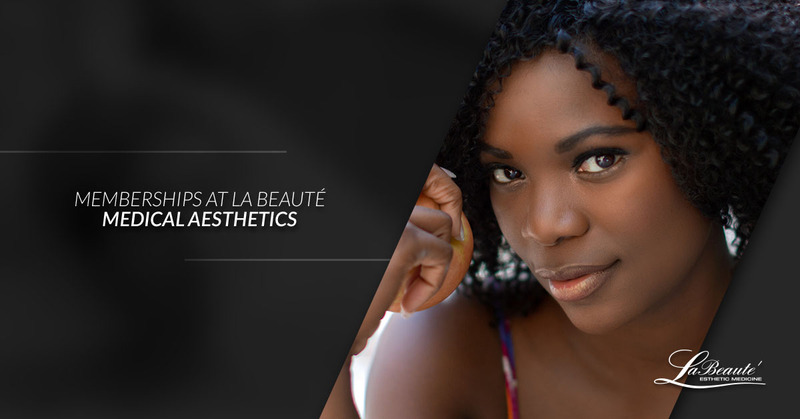 Each of the cosmetic treatments that we offer at La Beauté Medical Aesthetics is not surgical. We will not be cutting into you and you will not need to take weeks to recover. These procedures are completed by our doctor who is certified and trained in these procedures. She will help you enhance your aesthetic appeal by utilizing cutting-edge technology to target the areas on your body that you view as problem ones. The non-invasive procedures that we offer are skin rejuvenation, body contouring, vaginal restoration, and Botox®. Are Non-Invasive Cosmetic Procedures Better? There are advantages to non-invasive cosmetic procedures that you don’t get with surgical ones. While it comes down to the person and the procedure they want, non-invasive cosmetic procedures can be better for some. The advantages of these non-surgical procedures are less painful, more affordable, and safer. Additionally, they only take a small amount of time, say 30 minutes to an hour. There are no major risks and your recovery time will be much easier. However, the methods are much more precise, which can be better for some and not so much for others. The treatments can last anywhere from six months to a few years. It comes down to the person, his or her lifestyle, genetics, and the type of procedure that’s completed. Many results are based on what type of procedure you have completed and how often you may get follow-ups. It’s important to keep in mind that the results can be changed, so you retain a more natural look. Are There Any Risks With Non-Invasive Cosmetic Procedures? While many medical procedures have risks, what’s great about non-surgical ones is how small the risks are. In fact, you may only experience minor bruising or swelling in comparison to more invasive procedures. All you need to do is contact us and we’ll set up and appointment! At La Beauté Medical Aesthetics, we strive to make it as easy as possible for you to look beautiful.